Every Thursday at the St Ives Guildhall, 9:30am - 2pm. Situated on the beautiful harbour front of St Ives. Every pour, from every bottle is crafted by us three Thompson Brothers to ensure a colour, flavour and clarity that we're proud to put our names to. WE HAND FORAGE OUR BOTANICALS WHEREVER WE CAN, AND SOURCE LOCAL INGREDIENTS WHEREVER POSSIBLE. Established in 2017 by three brothers, we set out to create better spirits full of flavour. We're family owned and we always will be. 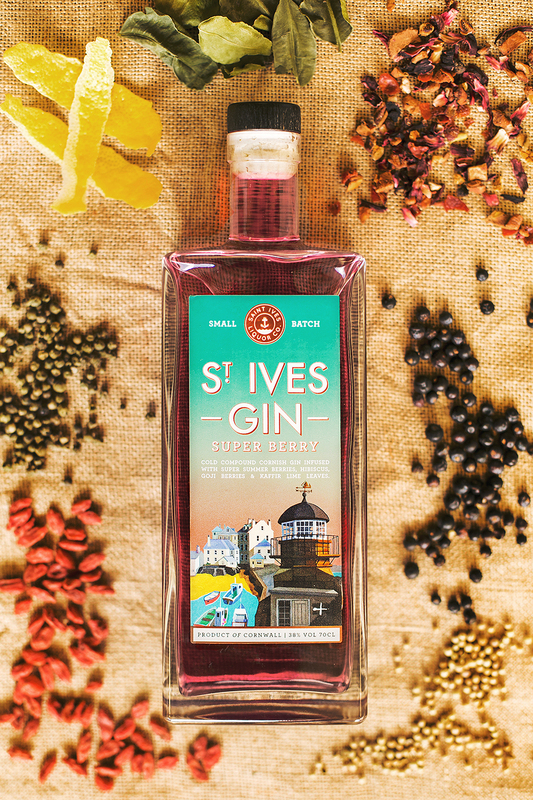 St Ives Gin - Cornwall's First Cold Compound Gin. Produced by Saint Ives Liquor Co.